The Renegade is Jeep's smallest SUV yet it still brings adventure to your life with the brand's undeniable 4x4 capability and a slew of modern features that will keep you connected and entertained! In addition to the best-in-class off-roading capability, the Renegade offers a host of advanced safety features and convenience open-air freedom. Entering the 2019 model year, the Renegade is offering a brand new engine for the upper trim levels and a refreshed exterior design with a heavy focus on the grille and front fascia. There is so much more to talk about when it comes to the Renegade so keep reading! Can you share some of the features available? In 2019, the Renegade will again be available in a total of four trim levels. They include the Sport, Latitude, Trailhawk, and Limited. The entry-level Sport model begins the lineup with standard features like a USB port, fold-flat front passenger seat for extra long cargo items, rearview camera, keyless entry and ignition, removable cargo floor panel, a 5" touchscreen, 6-speaker sound system, and a height-adjustable driver's seat. There are three great packages available for this trim for even more features! The upper trim levels add on features from all those packages as well as a second-row USB port, auto-dimming rearview mirror, leather upholstery, 18-inch wheels, and a household-style power outlet. The Trailhawk trim adds on more off-roading geared features for even more capabilities. What kind of powertrain options are available for 2019? There are two engines available for the 2019 model year. The two lower trims, the Sport and Latitude, are powered by a 2.4-liter Tigershark 4 cylinder engine that pumps out up to 180 horsepower and 175 pound-feet of torque. Powering the Trailhawk and Limited models, is the brand new 1.3-liter direct injection turbocharged engine that generates 177 horsepower and 200 pound-feet of torque. This engine is mated to a segment-exclusive nine-speed automatic transmission. There are two off-roading systems available for the Renegade, they include the Active Drive and Active Drive Low 4x4 system. Both systems are enhanced with the Jeep Selec-Terrain system that comes with up to five modes for the best 4WD, on- or off-roading experience no matter what the weather may be. What type of safety and security features are available? 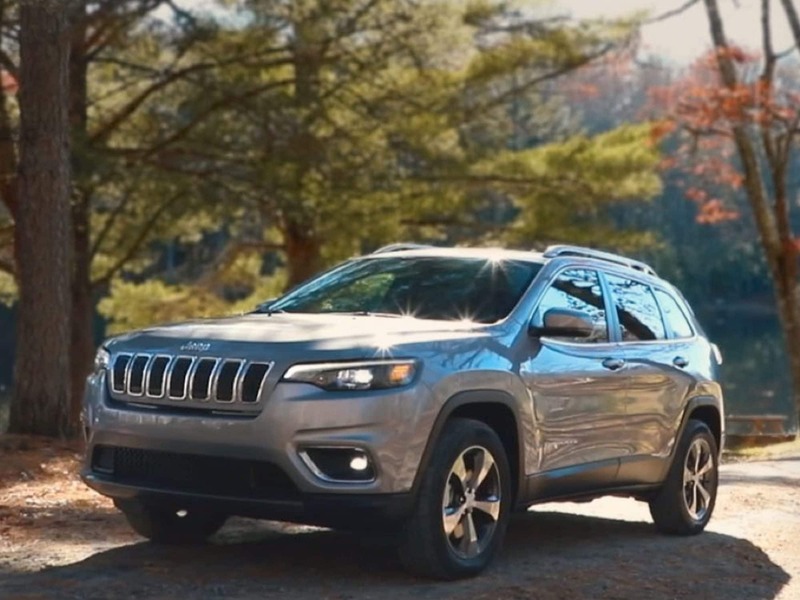 In the 2019 model year, there are over seventy safety and security features that you can depend on when you are commuting to work or taking on new trails. The Renegade introduces the segment's first use of Forward Collision Warning-Plus and LaneSense Departure Warning-Plus, both available features. The available Safety & Security Group is available for all trim levels but the entry-level Sport, adding advanced features like xenon headlights, blind-spot monitoring, automatic windshield wipers, a cargo cover, and rear cross-traffic alert. Available for the Latitude and Limited trims is the Advanced Technology Group which builds upon the previous package with features like adaptive cruise control, lane keeping assist, automatic emergency braking, front parking sensors, and more! The 2019 Jeep Renegade may be a small SUV but it sure does pack a punch with modern features off-roading capabilities that will take your adventures to new heights! Are you interested in learning more about the Renegade and all that it has to offer? Come on down to the dealership today to chat with one of our sales associates. They'll give you a tour of the trim that is right for your lifestyle and take you out for a test drive!